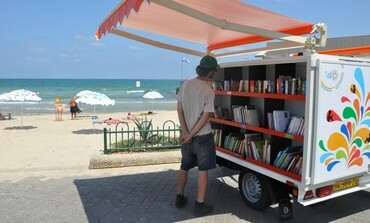 The Tel Aviv Municipality inaugurated a new library on Tuesday at the Metzitzim Beach, near the city’s port, allowing tourists and beachgoers to check out books for free during their leisure time there this summer. The library, which consists of a two-wheeled cart stationed on the promenade, contains 523 books in five languages: Hebrew, Arabic, English, Russian and French. Visitors who do not wish to read print books will also be able to use their personal tablets to connect to the free WiFi that the municipality provides all over the city, and download electronic reading material. “In fact, the general goal is to make sure that people read and that they don’t see books as this far-away thing, but as something which is present everywhere,” Iris Mor, head of the municipality's culture department, explained. The inspiration for the project, that she developed in collaboration with the municipality’s library department, had come from similar initiatives in other cities around the world, such as Barcelona, Spain. According to Mor, the beach library will not have a librarian supervising it, and there will be very little control over the books. Beach-goers will simply have to return the items on their own. 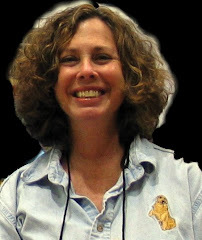 “We are doing an experiment of making a service available to the public without being policemen, and we hope it will succeed,” she said, adding with a smile, “If they take a couple of books, it’s okay – we will bring new ones.” She also expressed hope that the project would expand to more beaches next year.